day to day MOMents: Travel Necessities - Toothbrushes and Hair Brushes! Travel Necessities - Toothbrushes and Hair Brushes! We love to travel as a family, but no matter how often we getaway I always have to make a long list each time to make sure I have everything we need. Packing can be both exciting, and stressful. I pack for 5 people, and the list can get long. I list everything from the very important like emergency medicine, to socks for everyone, to brushes for teeth and hair! Making a thorough list ahead of time prevents forgetting any small item. When I run into items that are useful or might make packing easier, I always want to share with you all! The latest are from MouthWatchers toothbrushes and Hotheads hairbrushes. Items that work great for everyday use, but also come in a travel friendly packaging or size. The Mouthwatchers toothbrushes feature special antimicrobial bristles that eliminate up to 99.9% of bacteria that builds up on the bristles in 6 hours with EPA- approved silver bristle technology. If you pack these toothbrushes away, you can have a bit more ease with the special bristles. It also features flossing bristles that are long, and soft. They are also said to outlast traditional nylon used in other brushes. I am loving the thin bristles for my youngest two, they are thin enough to get between teeth but also soft enough for their delicate gums. It also features a nice comfortable grip, making it easy to brush small mouthes that like to wiggle. 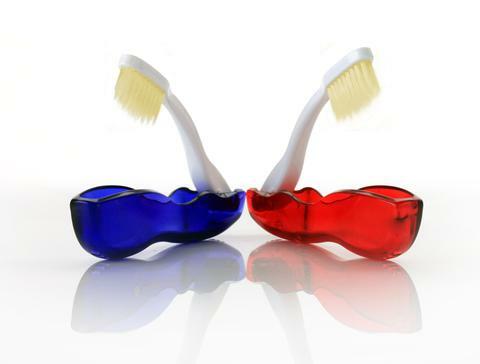 Mouthwatchers are available in multiple varieties like power, manual, adults, youth, and the travel toothbrush. The travel toothbrush is perfect for traveling, it has all the features that make Mouthwatchers unique but folds away small for easy travel. For more information, including where to purchase check out mouthwatchers.com. While packing away toothbrushes, we can't forget about a hair brush too - specially with children who have long hair. They get tangled after a long day, and specially during summer fun at the beach, pool, and water park. The Mini G hairbrush from Hotheads is the perfect palm-sized compact brush to pack away for getaways, even day trips. It fits right into almost any bag or purse, and has impressive results for such a compact brush. It has a unique look and style that can handle thick and thin hair. Designed for back brushing and finishing. It's unique 3D bristle pattern detangles, gets sand out of hair with ease, great for brushing in dry shampoo or leave in conditioners. My children didn't fuss while getting their hair brushed with Mini G, so I love packing it away for our trips. Hotheads offers a variety of hair brushes, including a larger version of the Mini G. For more information including where to purchase check out their site hotheadshairbrush.com.